You know that adorable family pose with the kid holding on to their parent’s leg. We tried this at our maternity session with Cooper, but he really didn’t want much to do with his mama that day. This morning I was making his breakfast and Cooper came over and started snuggling my leg. It made me smile thinking about that picture we tried for. Then I looked down at him and saw his face. Oh wait, I know that face, it is the poop face. Yup, 6am poop in his undies, the day will only get better from here. Today is a milestone. Cooper has been potty trained for 1 month now. He is really good about going pee on the potty and telling us when he needs to use the potty. He can even hold it a decent amount of time if we are in the car and can’t pull over right away. Today’s above incident marks only the third poop in undies incident which seems really good. He still goes potty every 30 minutes or so in the morning and then goes for 4+ hours in the afternoon without using the potty. He is dry after nap and in the morning he is dry unless we take too long to get him after he wakes up. 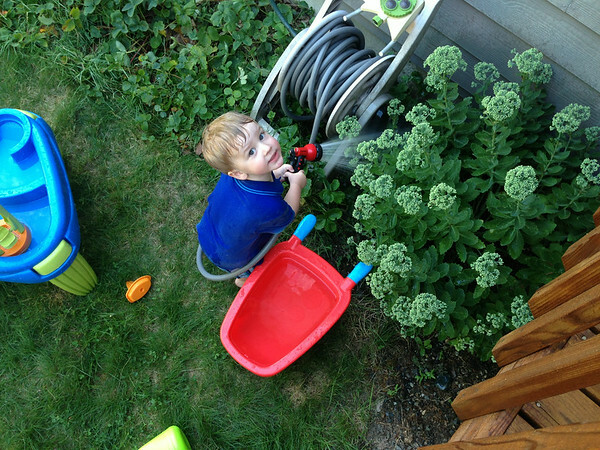 Cooper impresses us everyday and this potty training experience is just another way he shows what a smart, observant and body aware boy he is.